Since starting Totally Wild Foods, James Wood just hasn’t looked at going out for an amble in quite the same way. Growing up, he was forever outdoors. Playing hide and seek, chasing his friends and generally having a right old lark. Ten years ago however, he came to realise that there was more to the woods that he’d made his playground than meets the eye. In fact, he’d been galivanting around in an enormous bloom of wild garlic this whole time! This inspired him to learn more about the food which grows wild in the greenest corners of the country, as well as on our windswept coasts. Today James is the head of the UK’s only group of Ofqual (government) certified foragers. 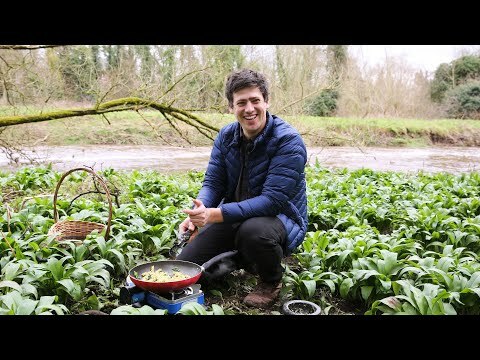 He even runs cooking classes and foraging workshops to teach others how to make the most of truly wild food. 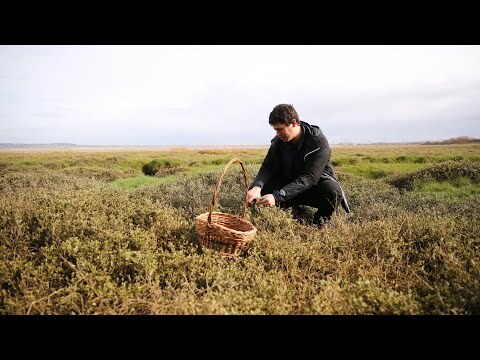 Oh, did we mention that he also roams the land to fill our boxes with incredible, wild-foraged ingredients like sea spinach, three cornered leeks and loads more besides? Whatever the season you can find him and his foraging friends picking mushrooms, putting together wild hedgerow salads or out on the shore collecting kelp. No matter what they’re searching for though, they always put sustainability first, and never take more than nature can afford to give. They have a unique understanding of the delicate ecosystems they’re working within and always treat them with the respect they deserve.